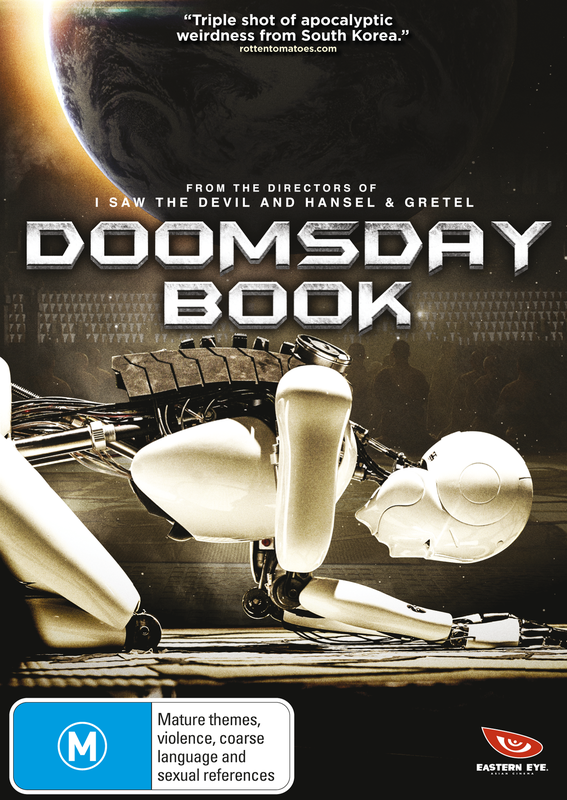 The South Korean triptych film Doomsday Book (2012) features three short films from two directors, taking a whimsical look at the apocalypse. Whimsy and the apocalypse don’t seem to mix you say? Well on the evidence of this film, you would be right. Given the title, it is fair to say I was expecting a very different tone to what this film served up. It starts off with a light, comedy of errors segment, examining family relations. This part is delivered jaunty soundtrack and all. The same segment then flirts with the prospect of being an intense ‘patient zero’ focused look at the zombie apocalypse. In the end the first of the three segments lands with a thud. Really not working as either something fun or something intense. In fact it does not particularly succeed as being something of anything. With most films such as this, it is the job of the first short to intrigue the viewer enough to see where the filmmakers take us for the next segment. This doesn’t do that and instead it feels like a gimmicky stand alone short that would not realistically be able to cohere with anything that follows. And it doesn’t. You can dig down and find some thematic connective tissue between the three shorts, but it would be a very big stretch for you. After holding zero anticipation going in, briefly the second segment ‘The Heavenly Creature’, holds a bunch of promise. A robot, utilised by a monastery, begins to exhibit signs of spiritual growth. But this promise is rubbished by something that cripples the entire film – really terrible writing. It is a shame that a story idea with such subtlety and scope is ruined by a script that is just plain dumb and lacking any of the required philosophical nuance. In fact most of the ‘philosophy’ here just sounds like a reading from Buddhism for Dummies. Along with a great central idea, ‘The Heavenly Creature’ also brings the other only real highlight of this movie. The robot, and the effects throughout the segment look really great. It is a wonder if they could do such a good job on the relative ‘straight’ special effects like this, why not take a straighter approach to the entire film, rather than aiming for the absurdity that is delivered. By the third segment, where a giant 8-ball meteor brings the end of the world as we know it, the film is too far gone to be any kind of a success. In fact throughout this section the film takes it up (down?) a notch from being not very interesting or well made, to verging very close to being incompetent. Tonally all over the shop, the few good ideas in Doomsday Book are buried deep below terrible scripting and misjudged atmospherics. The reality is that it starts off by misjudging tone and it never recovers at all. A film dealing more or less with the end of the world that manages to establish absolutely no stakes results in a pretty miserable watch. Related beermovie.net articles for you to check out: The Tower and The ABCs of Death.